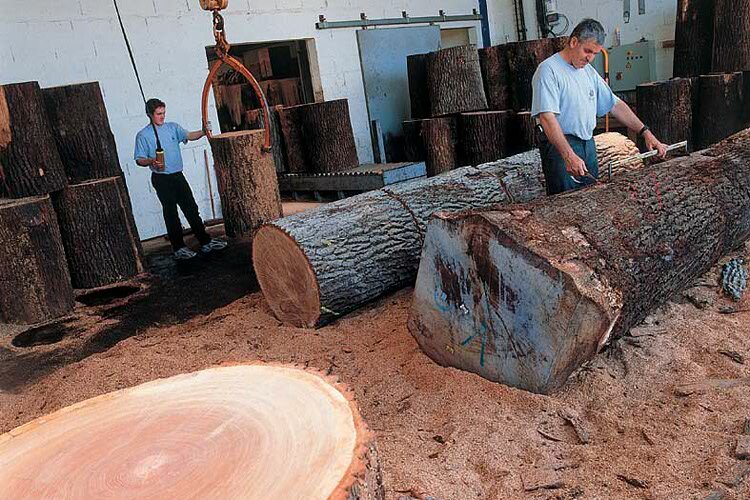 Only 20% of the tree can be used to make barrels. 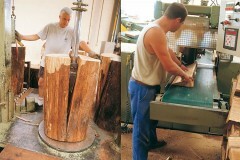 The parts of the logs that meet these requirements are said to be of “qualité merrain” (merrain quality: the word “merrain” in French designates wood split by hand for use as staves). The “merrains” are split from the heartwood. The heartwood is composed of dead cells; it supports the tree, but no longer has any physiological purpose. 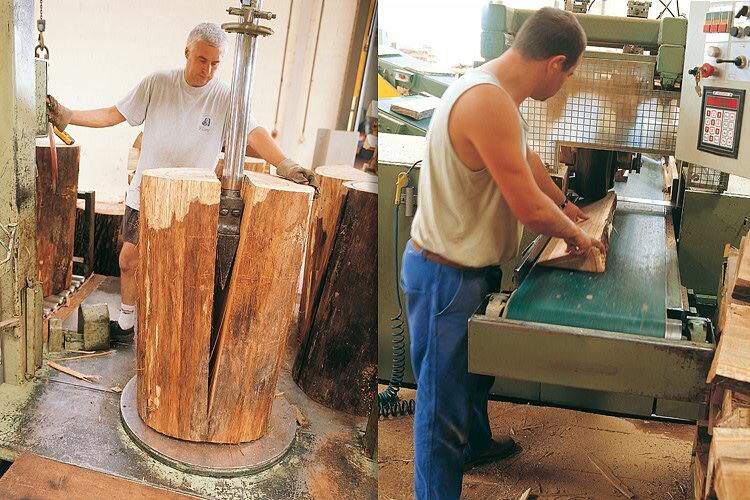 The “merrains” must follow the grain of the wood to achieve a watertight cask, so they are split rather than sawn.